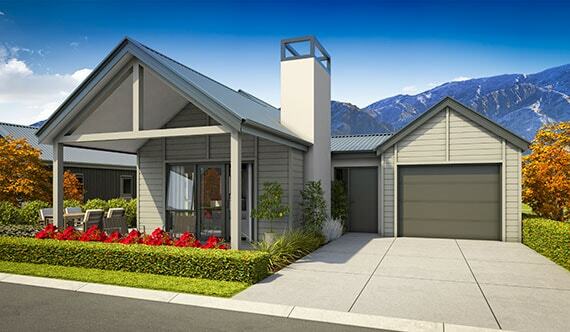 Due for completion mid 2019, the Gibbston Villa is both affordable and spacious in an efficient 127m² floorplan. This villa offers an open plan lounge/dining area, a glass fronted fireplace , two bedrooms, a walk in robe, dual access ensuite, plus a guest toilet. Residents will also enjoy sheltered outdoor living – which can be enclosed to create a sunny conservatory. This villa also has a single internal access garage, which houses the laundry behind bifold doors. Note: All villas and apartments are for sale under an Occupational Rights Agreement (ORA), the most common form of title in retirement villages throughout New Zealand. Please seek independent advice from your preferred solicitor. The Soho Villa is a luxury three bedroom home, offered in a spacious 200m² floor plan. This villa boasts three generous bedrooms, walk in robe, ensuite with double shower, full guest bathroom, double garage plus a separate study/office. The vaulted ceiling and high end specification make this villa very special. Call 03 442 1050 to receive a copy of the plans.